Are you looking for easy-to-eat lunches or make ahead meals you can take with you in the car? Every week we have to make a long-ish car trip to a nearby town. By the time we’re ready to head home, everyone is hungry. It’s really tempting to just drive through a fast food place on those days. In fact, sometimes that’s what we do. Our kiddos are still pretty young, though, and handling all of the different fast-food stuff in the car isn’t always easy for them. 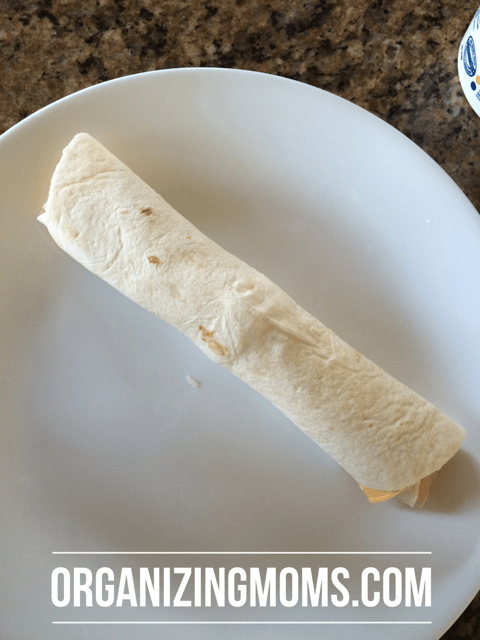 What has worked for us is make-ahead rollups. They’re easy for kids to hold, freezable, easy-to-pack, and the munchkins like them. They’re not health food, but I think they’re probably better than fast food. Add turkey and cheese or whatever fillings you’d like to use. 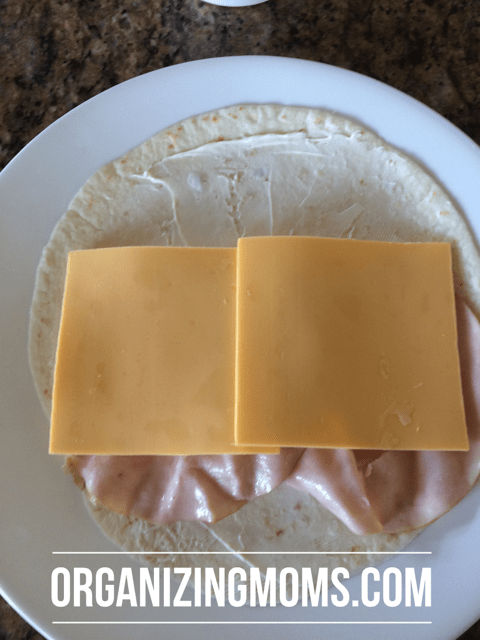 If you plan to freeze your roll ups, keep in mind that you’ll want something that’s not too runny. 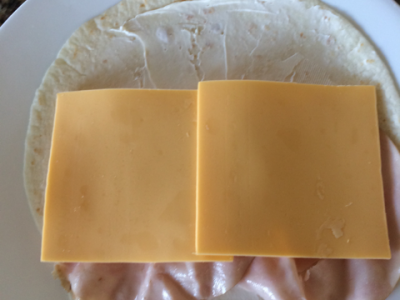 Roll up the tortilla and cut it in half. 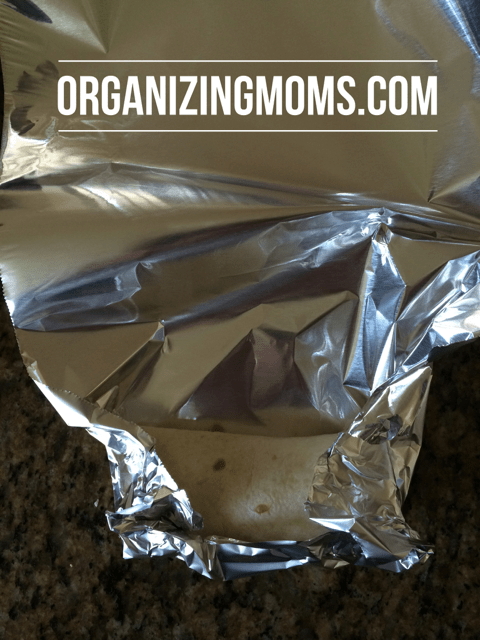 Wrap each little roll up in aluminum foil. 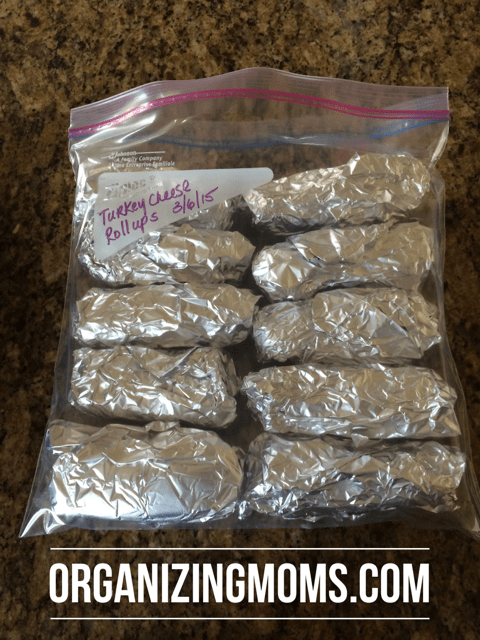 Put the wrapped roll ups in a freezer bag, and store them in your freezer. When it’s time to use the roll ups, take them out of the freezer a few hours before you plan to eat them. I put our roll ups in a snack bag when we leave in the morning. 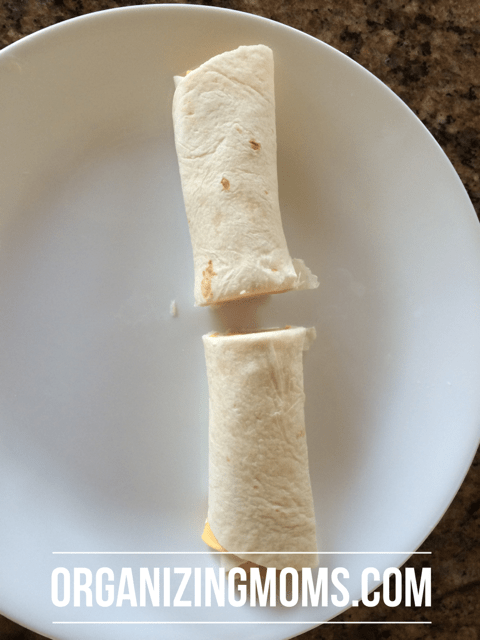 By the time we’re ready to eat lunch in the car, the roll-ups are thawed out enough to eat, but they’re still cold. We like to bring along some applesauce pouches and water bottles too. This keeps everyone full and happy until we get home. You could also bring these to work for a lunch. Pair them with a mason jar salad for a nice make-ahead meal. Would you like to chat with other moms that want to get organized? Join our Organizing Moms Facebook page and meet other moms just like you!